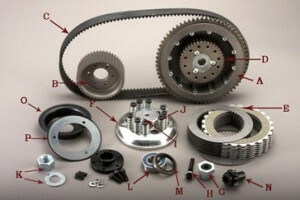 EVB-2SL | Belt Drives, LTD. 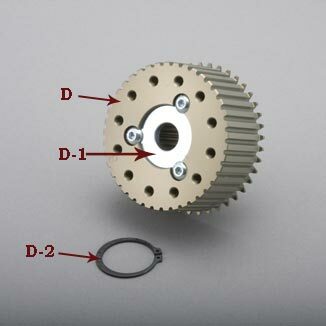 The EVB drive is one of our original closed primary belt drives and is designed for bolt in application. 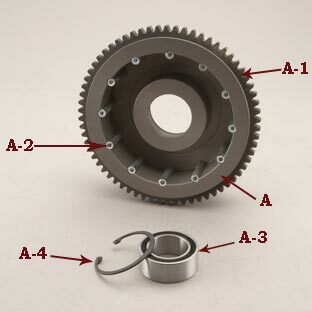 Our clutch basket features 12 cylindrical replaceable clutch dogs, which allows our clutch plates to maintain constant contact. Our Kevlar clutch plates give the maximum performance. The polished pressure plate uses nine shoulder bolts and springs so you can adjust your clutch pressure by simply removing or adding springs and shoulder bolts. 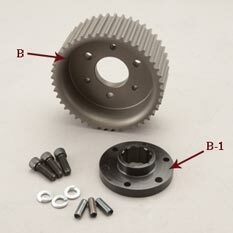 We also include a sealed bearing for the inner primary for 1990-2006 Softail® and Dyna.